Whether it is your residential driveway or a commercial parking lot, Absolute Sealcoating will improve the appearance of your pavement with premium products that can handle all the outdoor elements. Your old asphalt pavement will be looking fresh and new without having to pay for a brand new installation. We are one of the few companies in Northwest Indiana that uses a “brush-on” system with high quality products. We do not use a spray method. 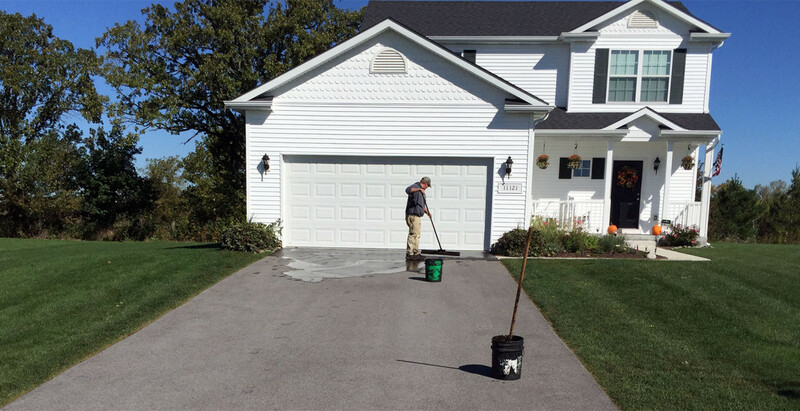 With Spring here, it is time to repair that old, cracked and discolored residential drive way or commercial parking lot and Absolute Sealcoating has the professional resources to do the job right. Our experienced team can restore any pavement and have it looking brand new. Using only premium seal coating products is how we guarantee a long lasting drive way or parking lot. All of our work is performed by specialist who takes pride in their work and it shows. We’re licensed and insured in Lake and Porter County, so no matter if you live in Crown Point or Chesterton, we’d love to gain your business. Along with seal coating, Absolute also offers professional landscaping and property maintenance. We offer landscaping services including fertilization, aeration, and custom design for residential or commercial property with a staff dedicated to complete customer satisfaction.